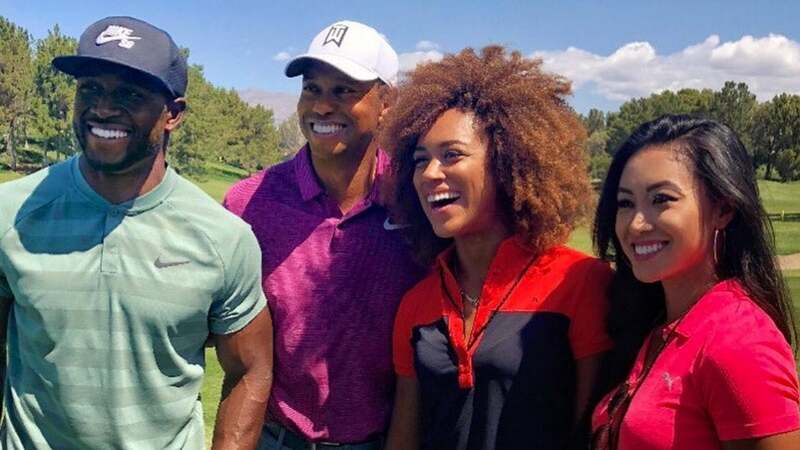 Tiger poses with former NFL player Reggie Bush, World Long Drive competitor Troy Mullins, and mini-tour player Tisha Alyn Abrea. 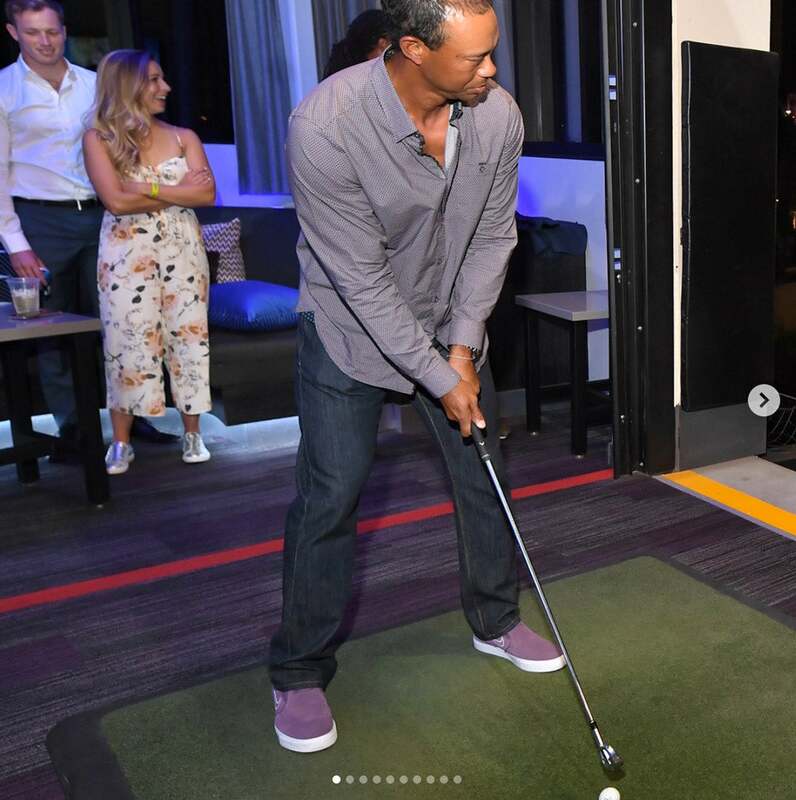 Larry Fitzgerald and Kira Kazantsev celebrate at Topgolf. 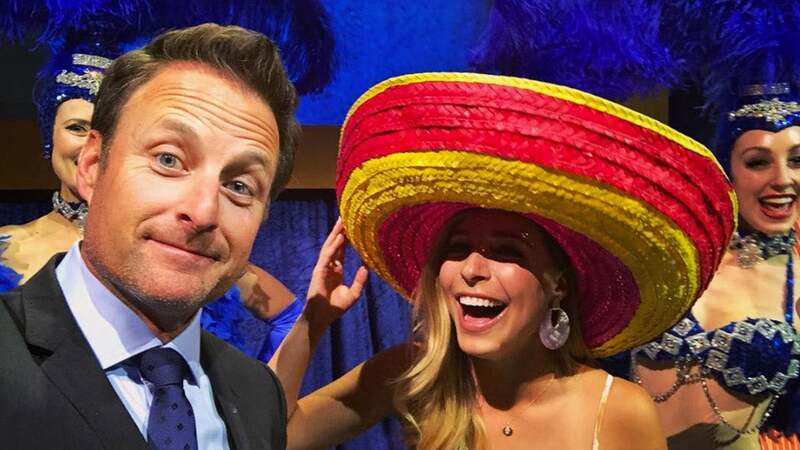 The Bachelor host Chris Harrison and former Miss America Kira Kasantsev. 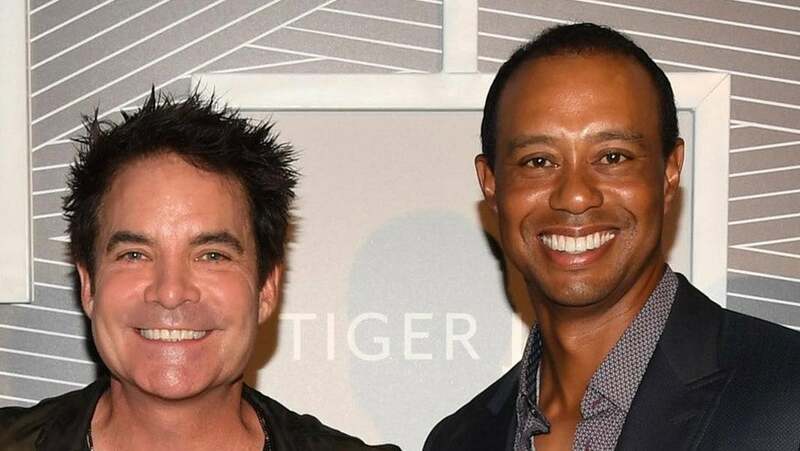 Tiger poses with the lead singer of the band Train, Patrick Monahan. 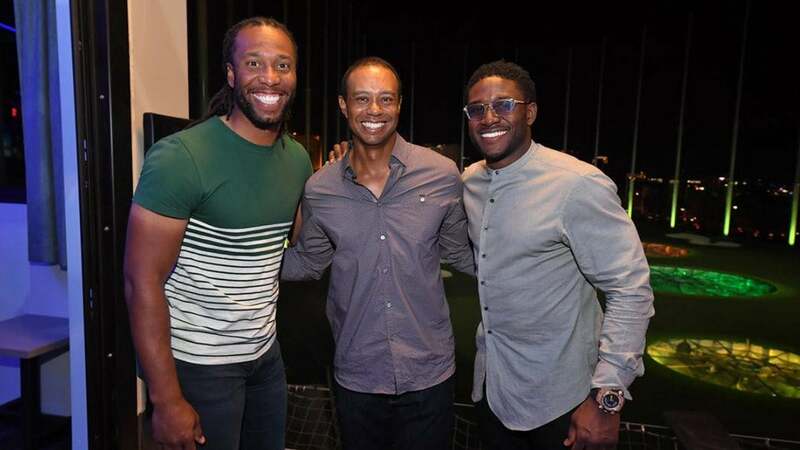 Tiger poses with Larry Fitzgerald and Reggie Bush at Topgolf. 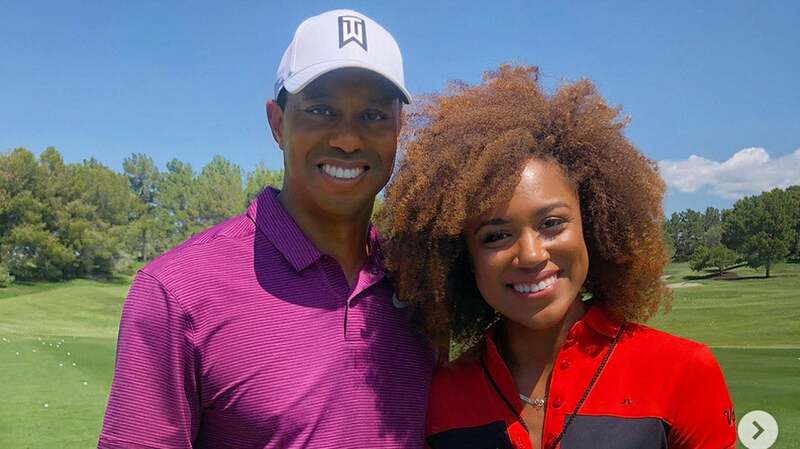 Tiger poses with World Long Driver tour competitor Troy Mullins. 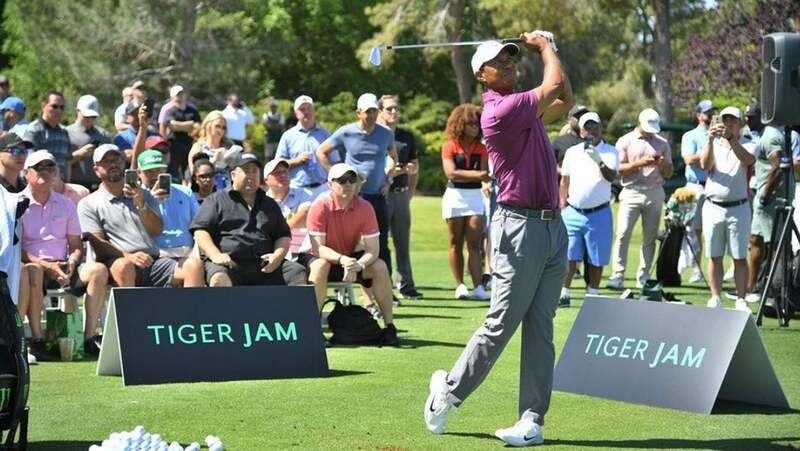 Tiger lines up a shot. 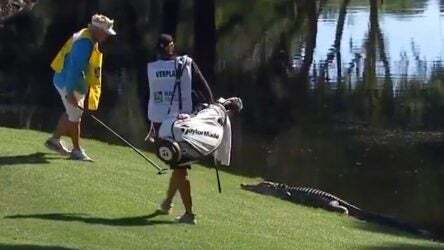 Blair O'Neal tees it up at Topgolf. 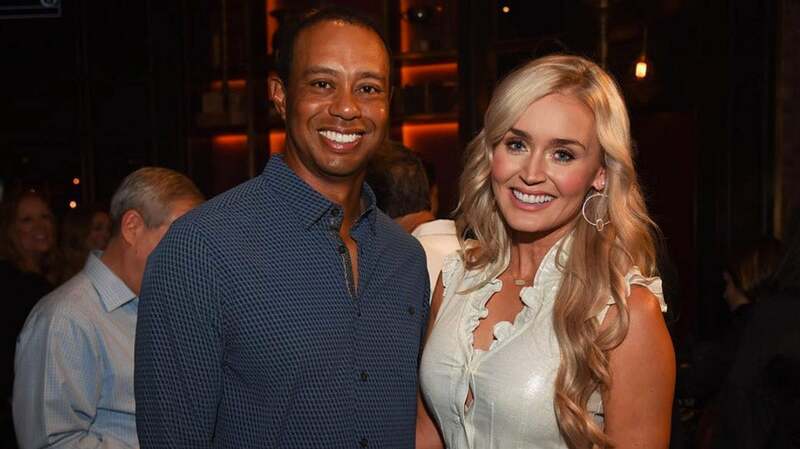 Tiger poses with Instagram sensation Paige Spiranac. 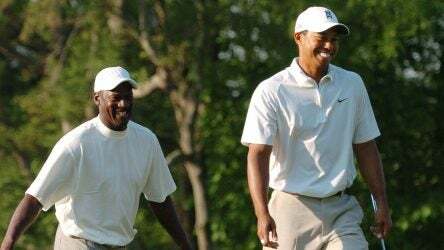 Paige Spiranac and Reggie Bush. 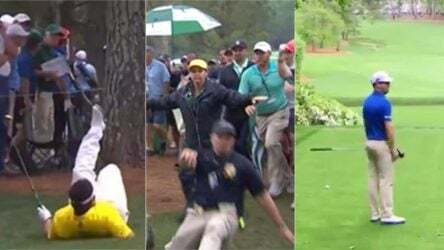 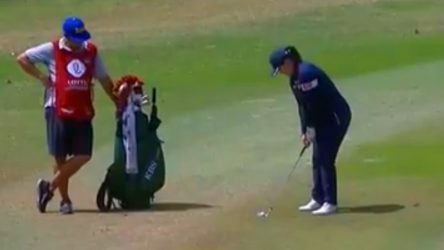 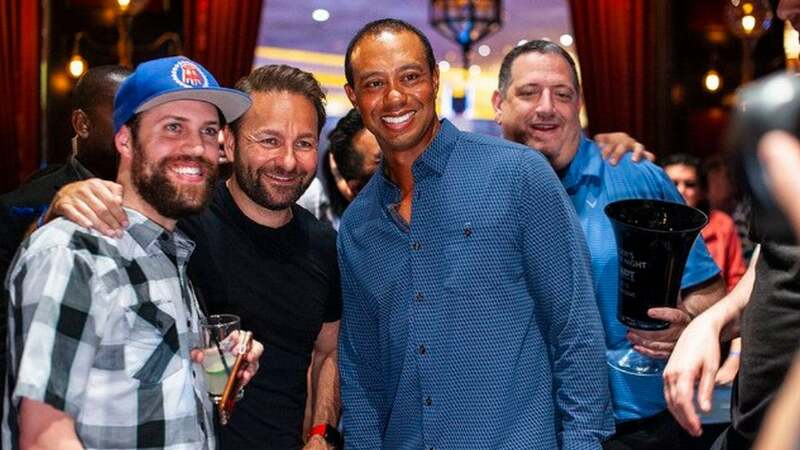 Tiger poses with Barstool Sports blogger @BarstoolNate.